Have you tried everything and nothing seems to work? Now, with these three plus bonus recordings, you will achieve the success you desire. Are you tired of failing at managing your weight? Now, you will learn to use hypnosis to help you lose weight and keep it off for good! You will feel motivated, confident and determined to make these permanent changes easily. Hypnosis is a powerful, proven process for personal change, and overall health and wellbeing. You will release weight and manage your food intake by shrinking your stomach and making specific food distasteful. Today is the day you decide to make these permanent changes. You will also clear your energy field chakras creating balance, peace, joy and calm in your life. 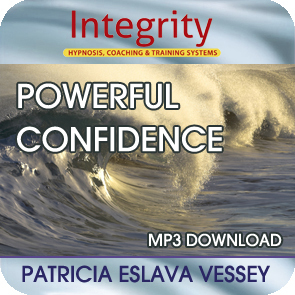 Create a regular habit of listening to these recordings and enjoy your success. The 7 Chakras consist of a comprehensive energy system that integrates our nervous, endocrine, and circulatory systems with emotional and spiritual development. It has been used for thousands of years in the Yogic disciplines. Chakra healing is important in weight loss as we can use it to remove blocks to success. Enjoy this beautiful session while allowing the spirals of energy to heal and feed positive energy to your mind and body. Are you ready to make today THE DAY you commit to making positive changes in your eating-weight, even though unfamiliar or uncomfortable? If you want to surround yourself with supportive people, thoughts and activities and feel good about the changes you are easily making, add this recording to your arsenal of success tools.